1, We 100% handmade custom bobbleheads with polymer clay. 2, Free proofs during all the process, 100% satisfaction before send out. Free proofs are given at different stages, on every custom bobbleheads we create (*unless rush order for certain time lines). Changes will made to gain your max satisfaction. 3, Top level details and likeness. 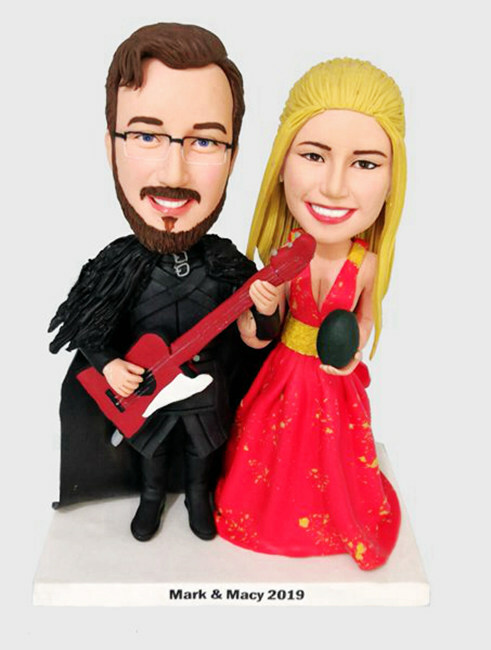 All our custom bobbleheads are sculpted by Skilled sculpturer, which ensure your custom bobble heads come out with high likeness and best details. True low price, No extra cost will be added, quick DHL international shipping with low shipping cost.